The blogs are alive... with the sound of a new product. 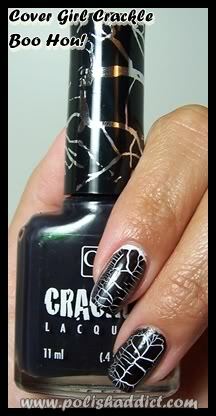 Barry M's Crackle Topcoat has hit, and we have an obsession on our hand. Pretty, right? It's super simple to use. 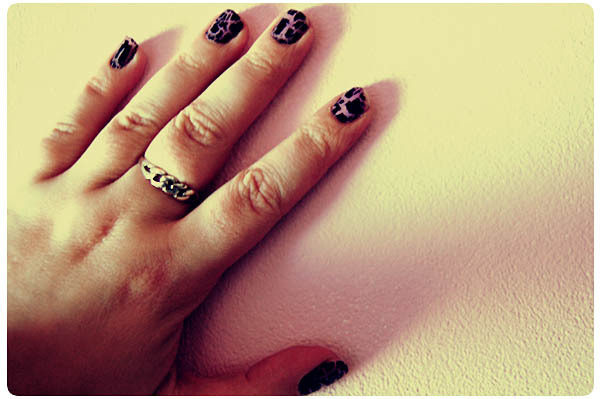 You just paint a coat of it over your polish, and as it dries, it separates, causing funky patterns. I was out on Saturday and everyone was like, 'Wow! It looks awesome! God you're patient!' Ha, no. Not that patient. The effect kind of reminds me of cows. Or dalmatians. It IS crackly, but the word I'd use is splodgy. But it's quite cool, and a great way to get an unusual effect on your nails without loads of faffing. Plus, it's like £3.95 a bottle - and they're 2 for £5 at the mo! The word I would hesitate to use is unique, because it's not. So far, I haven't seen another blogger mention the precursor to this product, probably because most bloggers were still in primary school in 1997. 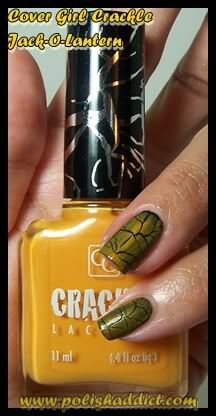 Cover Girl released a crackle topcoat back then, which worked in a similar way, but the crack effect was much more subtle. If I'm honest, I prefer it - but that's personal taste. In general, I prefer the vintage, aged look to the choppy, modern look. Overall though, this is a great product, and hopefully a sign that nail polish manufacturers are going to start getting a bit more creative. Barry M are very on top of makeup trends, and I can't wait to see what they come up with next. Or, perhaps this release will get Cover Girl angry and they'll re-release their version to fight back. I HOPE SO. PS - My computer ate the initial draft of this post so I've had to rewrite this from memory. I'm pretty sure all you've missed is something about how I used to work at Superdrug and how makeup is nice. Gutting, right? where on earth did cover girl disappear to?! easy, breezy, beautiful - cover girl! so catchy. i think i prefer their crackle glaze too. have you tried ebay? maybe they still have it in the us. That looks pretty cool - but I too prefer the cover girl version. 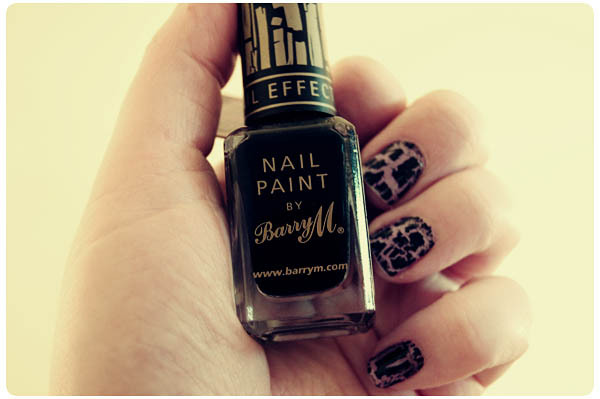 The Barry M one just looks a bit too...edgy? Idk! I just don't like it as much. Ugh I've been DYING for this since I've seen it on the blog rounds! When my loans finally come through I'm going to hop over to Superdrugs in my town and hope it's still there because there is a distinct lack of style here! Mwahaha.